I’m still glowing from attending the last weekend of the International Agatha Christie Festival. This is the second year I’ve been – and I love this event. It is held in and around Torquay, where Agatha was born. Despite being all about crime, it is the most light-hearted writing festival that I’ve been to. 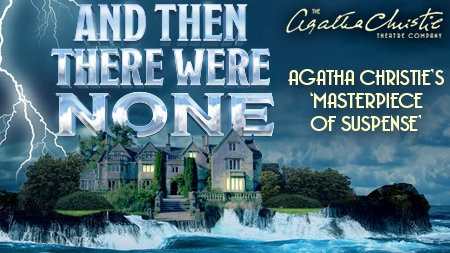 The sun always shines, well it did for the last two years, and as well as talks and performances about Agatha’s work and new versions of her work like Sophie Hannah’s there are lots of event about contemporary crime novels. It has steam train rides, visits to Greenway, Agatha Christie’s holiday home near Dartmouth and a murder mystery set in a funicular too. This year I went to hear the ‘Killer Women’ panel talk about their books and their inspirations and the practicalities of writing them. 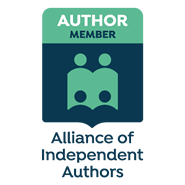 ‘Killer Women’ are a collective of London based women authors. Alison Joseph has been writing crime novels about a Nun as well as other stand alone novels for some years. Her latest novels, published by Endeavour Press, are appropriately about Agatha Christie becoming a sleuth herself. It’s a neat idea. I’ve just finished reading ‘Hidden Sins’ and I’ll be reviewing it in my next post. Louise Voss has just published her first solo crime novel, ‘The Venus Trap’ after the recent success of her thrillers co-written with Mark Edwards, and Helen Smith’s work is more light-hearted about a female PI called Alison Wonderland. Lots to think about there and then I went to see a charming production of ‘And then there were none’ at the Princess Theatre in Torquay – although the ending was a bit gruesome. All very Agatha. Am enjoying your postings Chris – and you might almost make a Crime Thriller reader out of me yet! Not my first choice in reading matter but of course I had to read your own Revenge Ritual. And I’ve just started reading it again! I gobbled it up at such speed the first time, and am really getting a lot more out of it this time around. Knowing the plot, i can concentrate on appreciating the characterisation more. Definitely lovelier ‘ the second time around’ – as the old love song goes! Christine P..